Researchers working with the European Southern Observatory have made a stunning find. Everybody knows about our solar system’s largest planet, Jupiter. A gas giant, it bears a distinctive pattern and a massive spot that space fans have come to know and love. But this isn’t the only planet with characteristics like these – in fact, a team of scientists working with the European Southern Observatory have reportedly found a stunningly high concentration of Jupiter-like planets inside the star cluster known as Messier 67. According to a report from UPI, the planets all bear a number of similarities to our beloved Jupiter. Unlike the gas giants in our solar system, however, the planets found in Messier 67 are referred to as “hot Jupiters” due to their close proximity to their host stars. The star cluster boasts 88 stars similar in age to our own sun, and could offer clues to how our solar system formed during its earliest days. The study, published in the journal Astronomy and Astrophysics, reveals that three of the 88 stars in the Messier 67 cluster host hot Jupiters, at a rate of 5 percent. By contrast, hot Jupiters exist at a rate of less than one percent elsewhere in the universe. 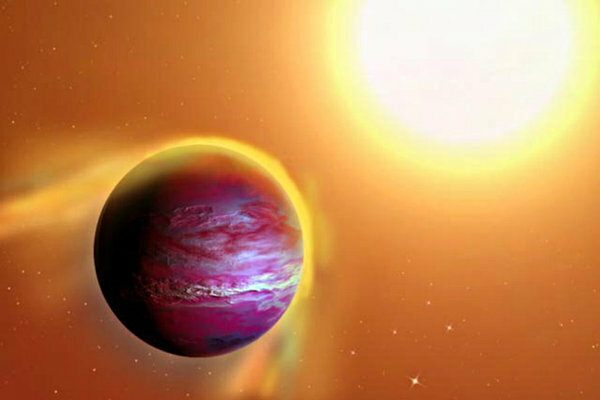 Scientists believe that these hot Jupiter planets probably formed further out and migrated closer to their suns as they developed. The great mystery behind these planets lies in the forces that draw them in toward their fiery orbital paths. The ESO team hopes to continue studying these peculiar worlds in an effort to further understand the forces that shape the universe. A press release from the ESO describing the details of the study can be found here.